Thrace Group will participate at the world’s leading international fair for the green sector, that will take place at Messe Essen. IPM Essen is the annual worldwide meeting of the horticulture sector, displaying a unique combination of plants, technology, floristry and garden features under a common roof. 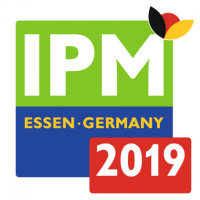 Thrace Group will participate at IPM Essen (Hall 3 - 3C31), to showcase its full range of agri-horticulture technical textiles, specially designed to help you increase your yield through protection. The efficient technical solutions of Thrace Group comply with the globally recognized sustainability frameworks and can be applied both in agriculture and in landscape architecture sites.